This patient membership agreement (the "Agreement") specifies the terms and conditions under which you, the undersigned patient ("Patient"), may participate in the program ("Program") offered by your Cirrus Medical Network physician. This Agreement will become effective either on the date your physician commences the Program or the date of your signature on this Agreement, whichever is later (the "Effective Date"). Primary Care Medical Services within the scope of telemedicine and/or online encounters. For 3-month and Annual Memberships: Respective "Welcome Packages"
2. Patient Membership Fees. Cirrus Medical Network offers several different membership fees ("Membership Fee"). For Standard Primary Care Physician (PCP) plans you will pay either $59/mo for the Monthly PCP Plan, $147 for the 3-month PCP Trial Plan, or $468 for the Annual PCP Plan. For the VIP Primary Care Physician Plans you will pay either $119/mo for the Monthly VIP PCP Plan, $327 for the 3-Month VIP PCP Trial Plan, or $1188 for the Annual VIP PCP Plan. The Program will be limited to 400 patients per Physician Affiliate. For the Family PCP plans you will pay either $89/mo for the Monthly Family PCP Plan, $237 for the 3-Month Family PCP Plan, or $828 for the Annual Family PCP Plan. 3. 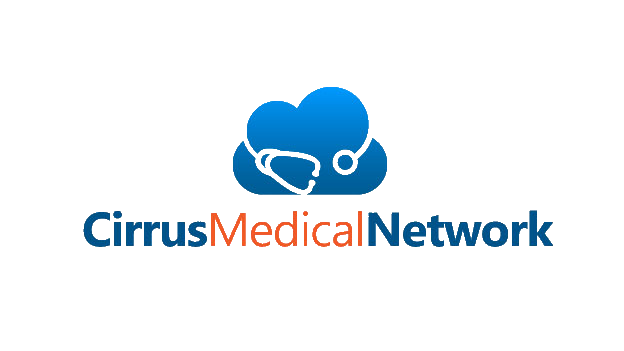 Relationship between Physician and Cirrus Medical Network ("CirrusMED"). You understand and acknowledge that each Cirrus Medical Network-affiliated physician ("Physician") is an independent contractor and not the agent, servant or employee of CirrusMED. you further agree and understand that CirrusMED does not provide, supervise or control the care that you receive from a Physician. Rather, your care is furnished and directed solely by the Physician who exercises his/her own medical judgement in his/her practice of medicine. CirrusMED is not responsible for the judgement or conduct of any Physician who renders services to you. 4. Renewal and Termination. The Membership Fee covers either a period (the "Term") of 1 month (Month-to-Month), 3-Months, or 12-Months (annual). Failure to renew one's membership prior to the end of one's Term shall result in termination of your participation in the Program. (For example, if the Effective Date is November 1, 2014 for an Annual Plan membership, then you must renew on or before October 31, 2015.) You or your Physician may terminate this Agreement at any time upon 30-days written notice. If you or your Physician terminate this Agreement for any reason prior to receiving your Services, you will be entitled to a prorated refund of the Annual Fee. if you have received your Services, you will not be eligible for a refund, and you will be responsible for the balance of the Annual Fee. Upon your Physician's receipt of this Agreement and the Annual Fee, your Physician shall have the option, in its sole and absolute discretion, not to accept the Agreement and to return your payment to you (e.g., due to limitation of the number of patients). Unless otherwise terminated, this Agreement shall automatically renew for an additional one-year period upon the expiration of each Term. 5. Medical Care Services Excluded from Membership Fee. The Membership Fee specified herein covers only the defined "Services" described in Section 1 above. Except for your Services, you and/or your insurer, as the case may be, will be financially responsible for paying for all healthcare and medical care services received by you from your Physician and his or her staff. Laboratory, imaging/x-rays, and other diagnostic testing are not included in the Program. The limited practice size also enables your Physician to provide conveniences, such as 24/7 availability via secure messaging, videoconferencing or cell phone (VIP Plans only), in addition to enhanced coordination of specialist care, at no additional charge to you. 6. Co-Payments. Since Cirrus Medical Network is a "cash-only" service, there will be no insurance billing. Therefore, you are not required to pay a co-payment, co-insurance or deductible. 7. E-mail Communications; Privacy. If you wish to send secure e-mail communications to, and receive secure e-mail responses from, your Physician and/or his or her employees, agents and representatives, you should utilize the secure messaging provided through your personal CirrusMedicalNetwork.com website. You should be aware that unlike the secure messaging provided through your personal CirrusMedicalNetwork.com website, traditional e-mail is not a secure medium for sending or receiving potentially sensitive personal health information. you also acknowledge and understand that e-mail in any form is not a good medium for urgent or time-sensitive communications. In the event a communication is time-sensitive you must communicate with your Physician by telephone or video-conference. You acknowledge and understand that, at the discretion of your Physician, your email may become part of your medical record. 8. Entire Agreement. The undersigned agrees to the terms of this Agreement, all of which are expressed herein. There are no promises or representations except as set forth herein. 9. Notices. Any communication required or permitted to be sent under this Agreement shall be in writing and sent via U.S. Mail to the addresses set forth in this Agreement. Any change in address shall be communicated in accordance with the provisions of this section. 10. Governing Law. This Agreement shall be governed by and construed in accordance with the laws of the state in which your Physician's office is located. 11. Billing. Initial payments are processed at the time of enrollment through a secure online payment gateway (e.g. Paypal). *program offerings are subject to change.